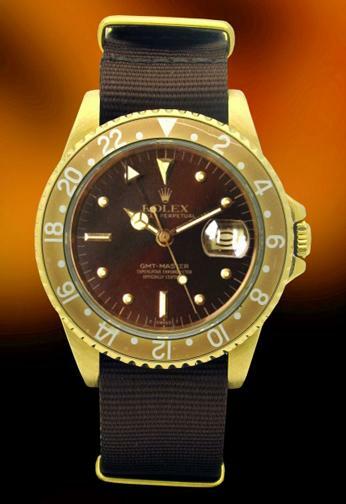 Rolex 16758 - GMT Master Transitional model, 18KT Gold Case, Beautiful Dial. The is simply "Splendid". The watch is in perfect condition.